It might seem obvious, yet many LinkedIn users add unprofessional photos to their profiles or have no photo at all (a cardinal sin on LinkedIn). It is imperative to have a recent professional-looking photograph on your profile page, as the first impression employers have of you is absolutely crucial. There is no second chance at a first impression, so put your best foot forward by using a clear and centered image of yourself in business attire with a background appropriate for your profession. Mihaylo Career Services offers periodic LinkedIn Labs to get your photo taken for your profile. Alternatively, find a friend who knows the basics of portrait photography and ask them to take a picture for you–a dslr camera would be preferred but any recent iPhone model should do the trick. The next event is scheduled for April 20 at 5:30 p.m. at SGMH 2504. RSVP online. 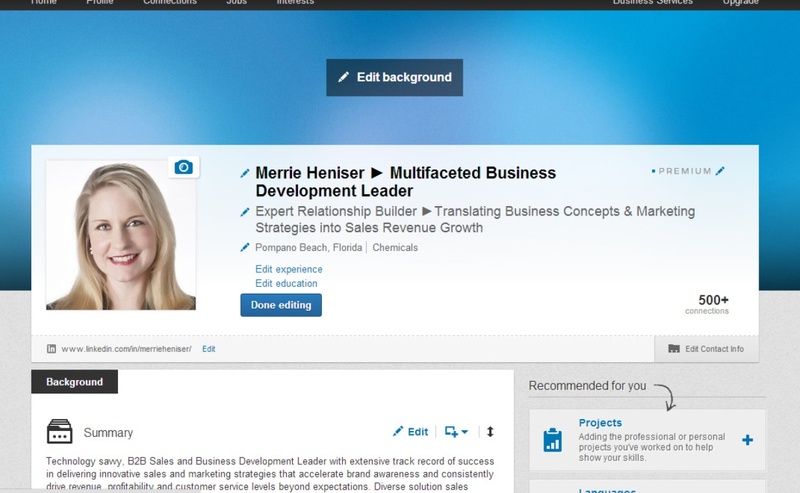 Extra Tip: LinkedIn now offers users the option of including a background image in their profile. It’s a great way to highlight your alma mater, profession, hobbies or personal interests. To add the photo, select “edit profile” in your LinkedIn account, and then select “edit background.” Photos must be 8 MB or less. Mihaylo Media Coordinator and graduate student Soham Wadekar ’16 (information systems) chose a background image of the downtown LA skyline because it is a recognizable feature of Southern California and also conveys a professional feel. Make it easy for recruiters to find you by including keywords that summarize who you are and what you are looking for right in your headline. This is key to having your profile found by the people who are looking to fill the types of jobs you are looking for. In today’s Internet with billions of Web pages, search engine optimization is critical for directing traffic to your site. You can ensure people find your LinkedIn profile when they Google your name by adding relevant keywords, such as your name, current and previous employers or schools, and professions of interest to your headline or summary. The more complete your profile is, the more chance there is for it to get found. Digital may be the wave of the future, but print résumés aren’t dead. 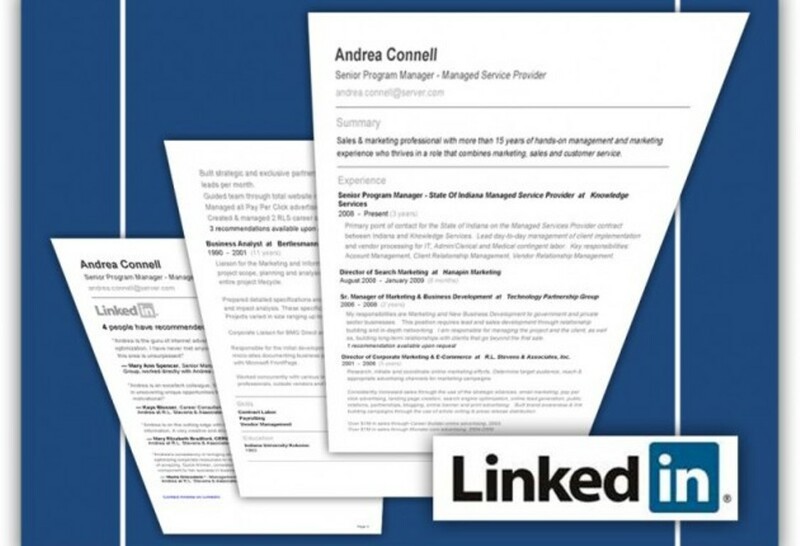 Thanks to LinkedIn, you can create an online profile and a top-class résumé at the same time. We are living in the digital age, yet many employers still like a paper résumé when reviewing candidates. Developing a strong LinkedIn profile can save you half the work, since you can download your profile in résumé form, ready to be printed or shared as a PDF file using the Résumé Builder tool. Professional recommendations are a great boost, but they can be hard for students with limited work experience to obtain. Thankfully, your supervisors, professors, colleagues, classmates and friends can let the world know about your competency through LinkedIn endorsements. You add your skills to your profile and the other user can vouch for your expertise. You can set your profile so that others in your network will see that you want endorsements. So don’t hesitate to approach your friends, relatives and colleagues for an endorsement. Has the CEO of the company that you just sent that application to viewed your LinkedIn? You can find out with the network’s “who’s viewed your profile” feature, available in the “profile” drop-down. With the basic account, you can only see a fraction of the people who recently visited your profile. Extra Tip: Using the LinkedIn Premium version, you can see the profiles of everyone who has viewed your profile, rather than just a small portion. This is useful because some of these viewers may be recruiters or decision makers at companies you have applied to. Most millennials have a host of connections across numerous online platforms. You can add from other Web platforms and send your LinkedIn contacts to your other networks by exporting them through the LinkedIn “connections” tab. Just select the “settings” gear icon and choose “advanced settings” on the right. Extra Tip: When looking to add new connections, try to make your request personal, rather than just the standard LinkedIn message. Cal State Fullerton has a vast network of Titan alumni in all fields around the world. 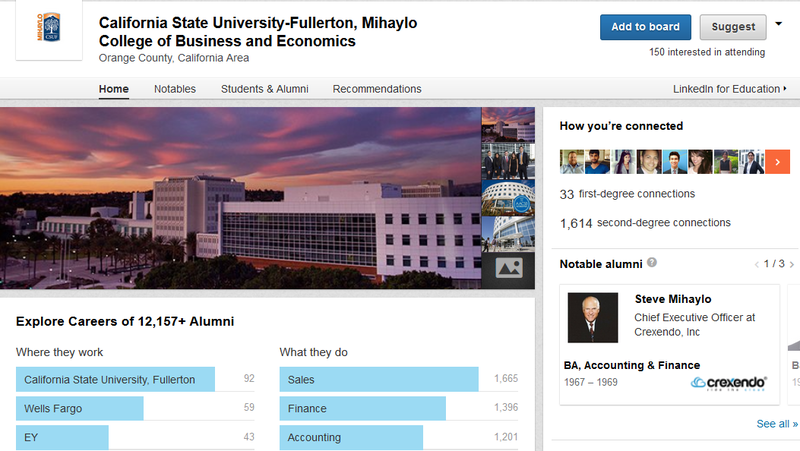 Get in touch by using the “find alumni” feature. You can customize your search by looking at particular majors or geographic locations. One easy way to plug into this network is to follow or join the Mihaylo Alumni and the Cal State Fullerton Alumni Groups. This is an easy way to connect with fellow Titans in the industry you’re looking to get into. The LinkedIn Premium profile, as shown above, provides additional tools such as revealing an unlimited number of viewers, salary tools and InMail. Image from WordPress. Open yourself to a world of career resources by investing in LinkedIn Premium. 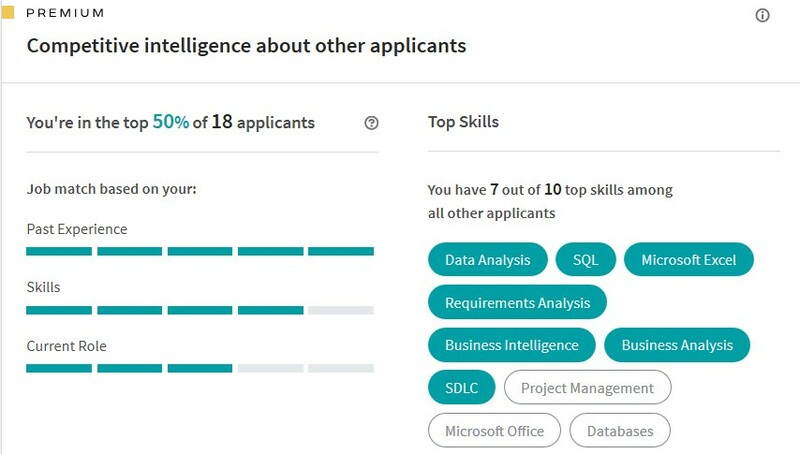 Among the tools at your disposal are advanced search options, the chance to compare your education and experience with competitors in the job market, hiring and salary trends, the ability to see an unlimited number of profile views, and the opportunity to directly contact recruiters or senior professionals with three InMail messages. Users also receive a Premium tag for their profiles, which may not seem like a huge deal, but it does broadcast the idea that you take your job hunt seriously. At $30 per month after the free 30-day trial, it breaks down to an investment of $1 per day, which may be worth it when you find a great job. When you look at a job description on LinkedIn, if you have a Premium account, you have access to a special section which will tell you where you stand against the other applicants for the job in terms of education and skill set. This can help you gauge whether or not the job is a good fit for you. Other information provided behind the pay wall includes hiring trends of firms over the past two years, the total number of employees, the average tenure of each employee, schools a firm typically hires from, and hiring practices in regards to your position. This intelligence will help you know which opportunities to focus on and will make you more efficient in your job hunt.